The GP is a gentleman's pocket knife with a traditional look, but closer inspection will reveal modern materials and hi-tech solutions. The GP uses Fallkniven's recently developed laminated cobalt steel (CoS), which is incredibly sharp. The handle on this model has beautiful Cocobolo wood scales and stainless steel bolsters over a steel liner lock frame. The shackle at the end of the handle allows you tie the knife. This knife includes a presentation box. While shopping for a classy clipless folder for pocket carry I stumbled upon this beauty. I was looking for something a bit smaller, but fell in love with the Fallkniven Gentleman's Folder. Blade movement is incredibly smooth. Lockup is perfectly rigid. The blade shape, with the drop point and small swedge, is refined but very masculine. It's a bit bulkier than what I wanted, but it's classy enough that you could pull it out anywhere to assist with food prep and no one would raise an eyebrow (except perhaps in admiration). It would never be mistaken for a tactical knife, but it could be used for serious work. Although it has a nicely designed long nail nick, you can actually push it open easily with pressure from your thumb at the indent in the handle. So you get one-handed opening without the marring presence of a thumb stud or hole. Fit and finish are quite good but not CRK good. The action is as smooth as any CRK though. Steel is beautiful and factory edge is hair-popping. 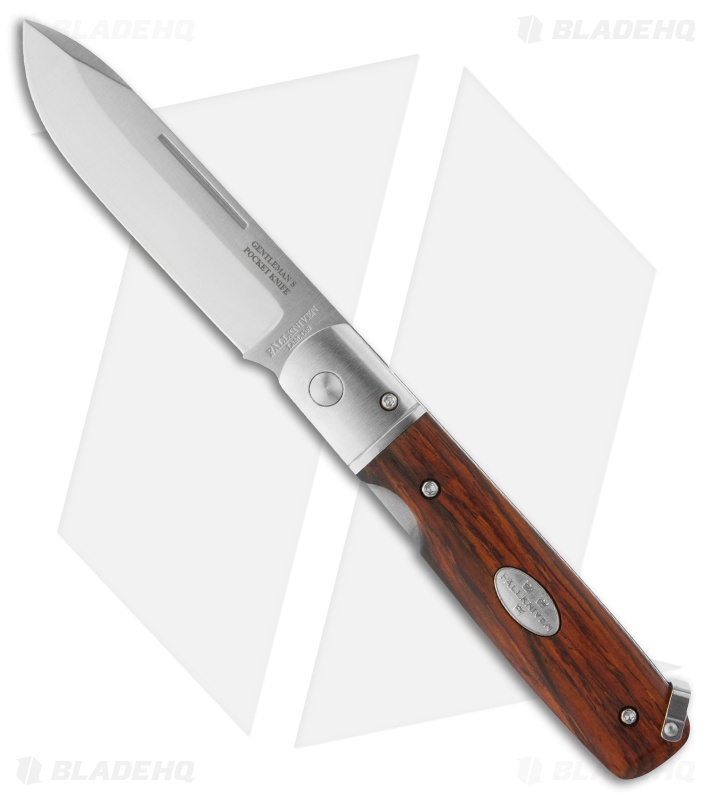 I like the stamped brand and steel name at the base of the blade, but could do without the "Gentleman's Pocket Knife" etching. Also, the "shackle" at the end of the handle is just in the way. Nevertheless, It was an easy choice to buy this knife. It stands out with a classy yet powerful masculinity, and materials that fit the price tag. Oh...and I wish Fallkniven would ditch the presentation box and knock $20 off the price. 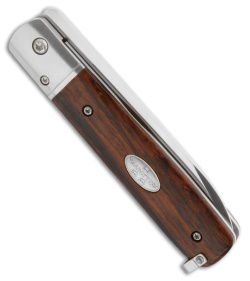 No one needs a footlong display case for a 3 inch pocket knife.